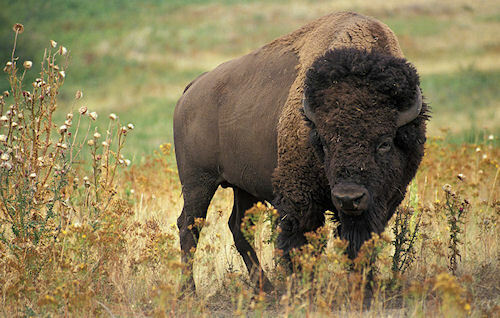 In prehistoric times, millions of bison roamed North America - from the forests of Alaska and the grasslands of Mexico to Nevada's Great Basin and the eastern Appalachian Mountains. But by the late 1800s, there were only a few hundred bison left in the United States after European settlers pushed west, reducing the animal's habitat and hunting the bison to near extinction. Had it not been for a few private individuals working with tribes, states and the Interior Department, the bison would be extinct today.